Power of Linguistics in Customer Service Study | Eptica - Multi Channel Customer Interaction Software. Email Management. Web Self-service. Live Chat and Agent Knowledgebase. Consumers vs. Agents: Can the Gap be closed? Mutual understanding between customer and company is at the heart of creating relationships, but there is a growing gap between the two sides. Consumers are becoming increasingly frustrated at not being understood, and are voting with their feet by switching supplier, while contact centre agents faced with a tidal wave of emails and tweets empathise but can do nothing to help. 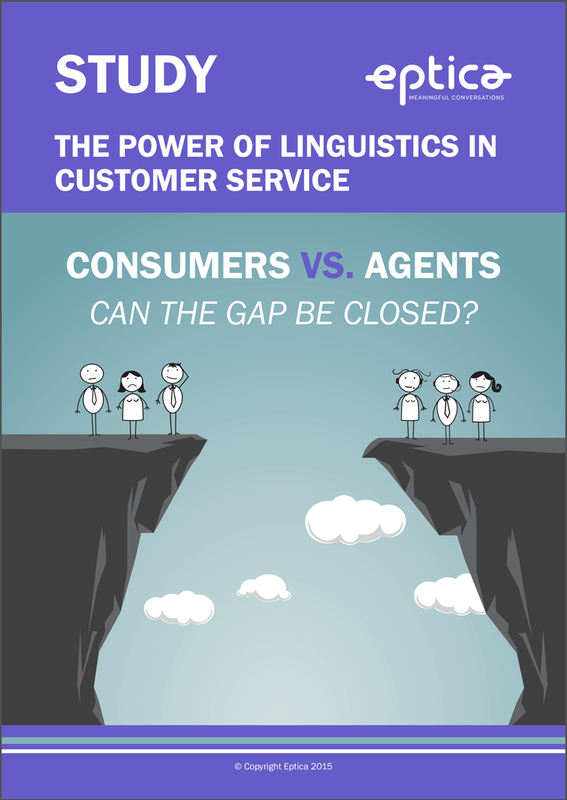 These are the key findings of the 2015 Eptica Study: The Power of Linguistics in Customer Service, research which surveyed both consumers and agents in order to identify the frustrations that are undermining the customer experience offered by UK organisations. Please download to read in full.